BEEDOCS logo is stamped with color remover to bleach out the black color. The results are one of a kind, distressed looking prints that are incredibly soft. 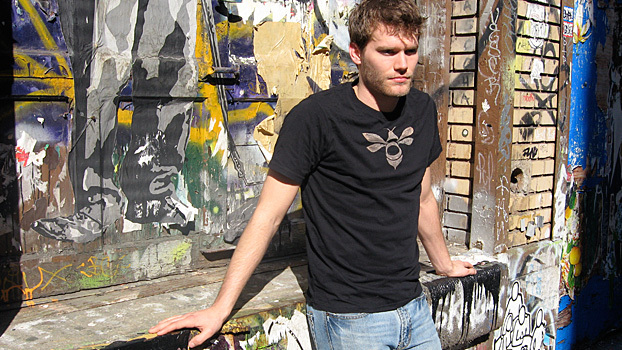 Front of the shirt: BEEDOCS logo. Mens L and XL are sold out.